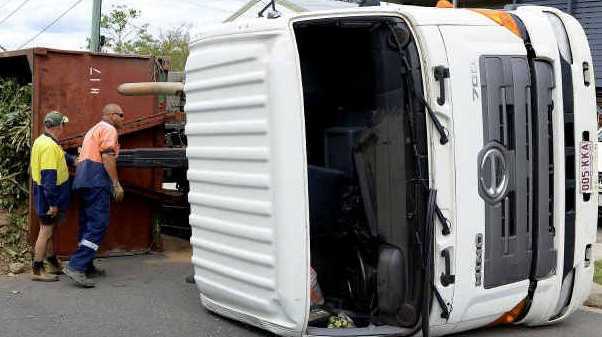 A SKIP truck driver was lucky to escape unharmed after his truck rolled onto its side on a suburban Ipswich street. Police were called to Spencer St, Churchill over the weekend after the truck toppled while attempting to load the skip, spilling its contents of concrete, dirt and tree branches on the road and footpath. The street was temporarily blocked from about noon on Saturday as the owner arranged for the vehicle and its load to be safely recovered. Police said the driver was not at fault in the mishap. Meanwhile, police have charged a teenager with dangerous driving after officers allegedly watched him speed through a red light and crash into a pole a short distance away. 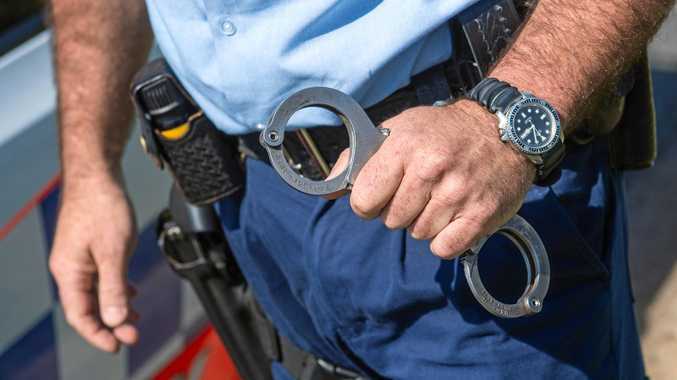 A crew patrolling near Springfield Central State High School early yesterday had attempted to pull the 17-year-old driver over for a random breath test when the car allegedly accelerated away. It was found crashed into a pole a short distance away. The driver, from Springfield Lakes, was charged with unlicensed driving and dangerous operation of a motor vehicle.